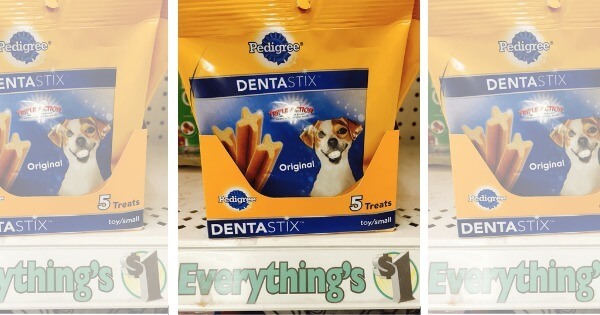 FREE Pedigree Dentastix at Dollar Tree! I am loving this freebie we can score at the Dollar Tree! You can find Pedigree Dentastix dog treats 5ct for just $1 at this store. This $1.00 off ONE (1) PEDIGREE Treats For Dogs coupon from the 4/3 Red Plum Insert makes them free! Pick up a few for your furbaby! Just a reminder, Dollar Tree Inventory can vary greatly by location! Rachael Ray Stoneware Set of 2 Bubble & Brown Baking Dishes $37.49 (Reg. $100) + Free Shipping!